CNH Industrial N.V. (NYSE: CNHI /MI: CNHI) announces that the IVECO commercial vehicles manufacturing facility in Madrid, Spain has become the Company’s first site to achieve Gold status in the World Class Manufacturing (WCM) program. With this achievement the plant is now the highest ranking facility in terms of manufacturing excellence amongst the Company’s 64 manufacturing facilities worldwide. WCM is one of the global manufacturing industry’s highest standards for the integrated management of manufacturing plants and processes. It is a pillar-structured system based on continuous improvement, designed to eliminate waste and loss from the production process by identifying objectives such as zero injuries, zero defects, zero breakdowns and zero waste. To certify improvements, a system of periodic third-party audits evaluates all of the WCM pillars, forming an overall score for each plant that is the basis for three achievement levels: Bronze, Silver and Gold. 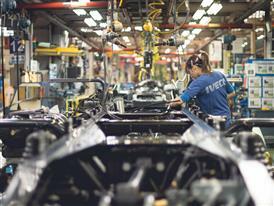 The IVECO Madrid site houses production lines and an R&D center for the brand’s heavy commercial vehicles. The New Stralis in both the diesel (XP) and the revolutionary alternative power Compressed Natural Gas and Liquefied Natural Gas (NP) versions and Trakker product line-ups are manufactured in Madrid. The site’s multifaceted production process means that up to 300,000 different versions of these models can be produced here. Some 87% of production is destined for export, mainly to European markets but also to Africa, Asia and South America. With this WCM audit, the site has achieved the best results in its 71-year history thanks to the improvements it has introduced over recent years. Improvements include CO2 emissions being reduced by 53% per vehicle manufactured and 99% waste recycled. A number of these improvements were made possible thanks to the collaboration of site employees who provided feedback through the WCM suggestions program. In 2016, an average of 28 suggestions was recorded per employee at the Madrid plant. The plant employs over 2,500 people, 21% of which are female, the highest female employment figure in Spain’s automotive sector. Last year, the site was recognized with a first prize Excellence Award by The Kaizen Institute in the System of Continuous Improvement category.